Washington (dpo) - US President Donald Trump today offered his condolences to the Japanese government. 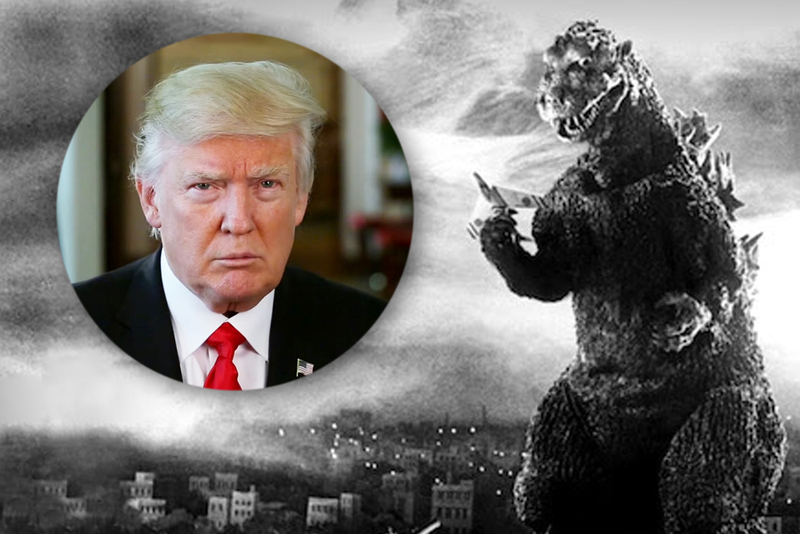 He said that he was deeply moved by the devastation wreaked upon Tokyo by Godzilla and that he was shocked to the core when he saw the bloodbath on television yesterday evening. He also offered to share all intelligence gathered on the monster up to now with the Japanese government. “We need to make sure that this kind of attack cannot be repeated here,” he rallied. The Pacific fleet is already on high alert. In closing, President Trump announced that in the coming days he would be signing an Executive Order imposing an entry ban on all reptiles.